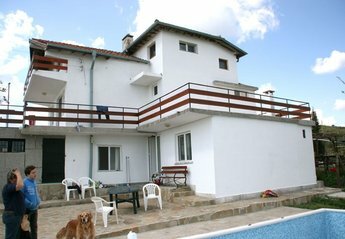 Found 6 holiday rentals in Nessebar. Cozy furnished 1-bedroom apartment close to a sandy beach; balcony, bathroom, fully equipped kitchen; free use of pools, children playgrounds and parking. Cozy 1-bedroom apartment, suitable for a family of 2 adults and 2 children. Strategic, but quiet location inside a holiday complex, where pools, children areas, tennis courts and restaurants are for free at guests disposal. Luxurious one bedroom apartment 80m from a glorious sandy beach. 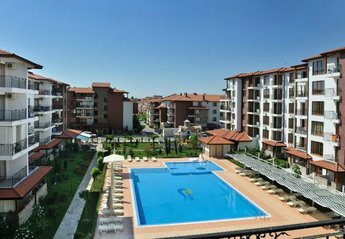 Luxurious one bedroom apartment 80m from a glorious sandy beach in Nessebar. This air conditioned apartment can sleep up to 4 people and has its own private balcony with pool view. Bookings for larger groups: please enquire. Brand new 2 bedroom apartments to let in quiet location and not far away from the busiest resorts of Sunny beach and Nessebar. Excellent conditions for long stay. Suitable for families with children. 200 m to the fine sandy beach.